As far as warranty goes, GoPro offers a 1 year warranty to fix or replace any camera that has manufacturer defects during this time. Some countries require a two year warranty, hence, "depending on where you live". Additionally, you can sign up for GoPro Plus. For less than $5 a month you get cloud storage of your GoPro media, 20% off GoPro accessories, and are able to exchange your camera for any reason, including if you break it, up to two times a year. YOU may need a longer cable, but taking someone to buy one without knowing their needs is irresponsible. We already know how you incorrectly thought you had an issue when you were using the wrong cable. Why send someone else down the same rabbit hole unnecessarily. As I pointed out, getting the wrong cable (even if it's a USB-C) can lead to issues that, while they may appear to be, are not camera related. You may not realize it, but you really come off as a negative grouch sometimes with all of your, "GoPro should", "GoPro should have", "GoPro needs to", and mischaracterization of this forum as you call out GoPro moderators for not replying more or giving out more information. You know that this is a member to member support community and that the primary job of moderators is to moderate tone and post for breaking listed rules. While they do try to help out when they can, that is not their primary function. One other point, GoPro didn't include a wall charger with the HERO2. The older cameras where sold as cameras for specific activities (surf, motorcross, music, and "naked"), which is why, depending on which you purchased, there were more accessories. However, if you purchased there wrong package (surf when you needed motorcross) you ended up with worthless mounts. The new packaging includes basic mounts, the frame, and a charging cable. It's all you need to get started. Computer USB is fine for charging and just about any phone wall charger works fine. As you're going to need either a computer or phone to edit and get the most from the camera, most people don't need yet another charger. Pointless and bad for the environment, not to mention added cost and shipping weight. Those unnecessary cost end up getting passed to the consumer. @danielr15 Sorry @cjn5448 Sometimes I have to explain to @danielr15 in his way. What i said was you are going to need to buy a longer cable that gopro did not tell you..... and I'll explain why I said that. in a video so @danielr15 may not understand what I was properly saying ??? No I am not punning or insulting lol stay tuned. so I am the man to say MyBAd if I were wrong (WINK) I'll still do a video. showing what I was referring to if like but nah I had my coffee said my peace and not upet just make sur you colour my mistakes in next time. its called research before you get sold and where that can be found is at gopro.com product manuals. alot we can say after the fact. 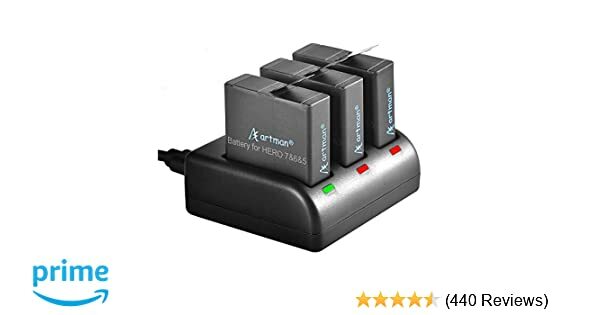 I don't know if you have made any decisions yet but instead of buying a wall charger, why don't you just buy a multi battery charger like this one (I imagine you have more than one battery) https://www.amazon.com/Batteries-3-Channel-AHDBT-501-Compatible-Original/dp/B078NG927T/ref=sr_1_5_a_... . 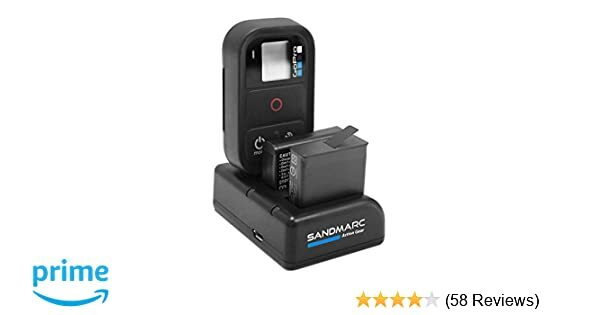 If you have the GoPro Smart Remote there is this unit which will charge the Smart Remote and two batteries at the same time (I have it and it works great) https://www.amazon.com/gp/product/B01MS71F4L/ref=oh_aui_detailpage_o08_s03?ie=UTF8&psc=1 .